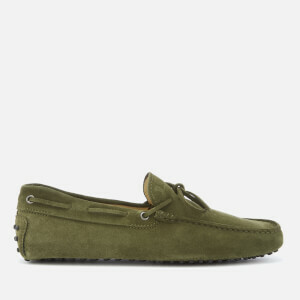 Men’s iconic driving shoes from Italian luxury accessories label Tod’s. 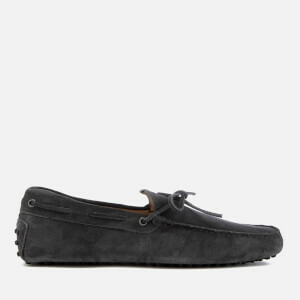 Crafted with plush suede uppers, the timeless slip-ons comprise a square apron toe, a decorative front tie feature and the brand’s signature gommino-studded rubber sole that extends to the heel tab. 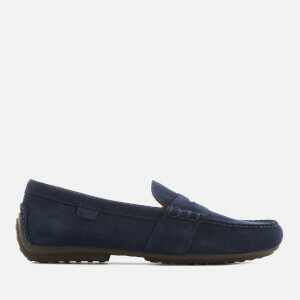 Detailed with exposed hand stitching detail, the shoes are complete with a hot-stamped Tod’s monogram and tonal stitching.